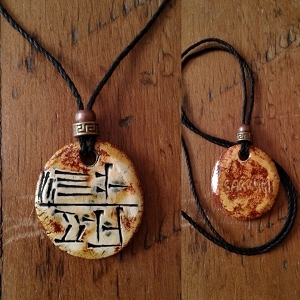 Beautiful rendition of the ancient Egyptian Goddess symbol, Hathor and the winged solar disc. 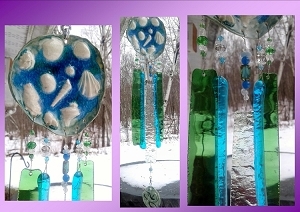 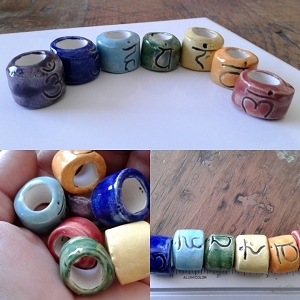 Perfect for creating a unique necklace or bracelet, unique one of a kind creation! 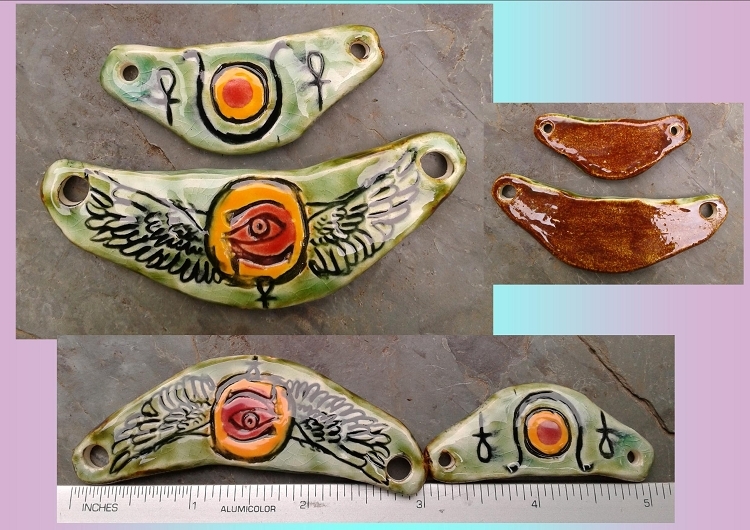 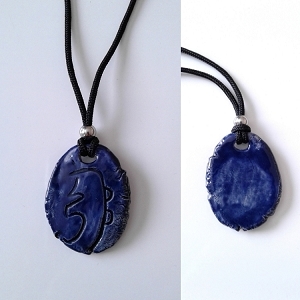 I created these clay pendants, carved then fired, glazed and fired them once more.